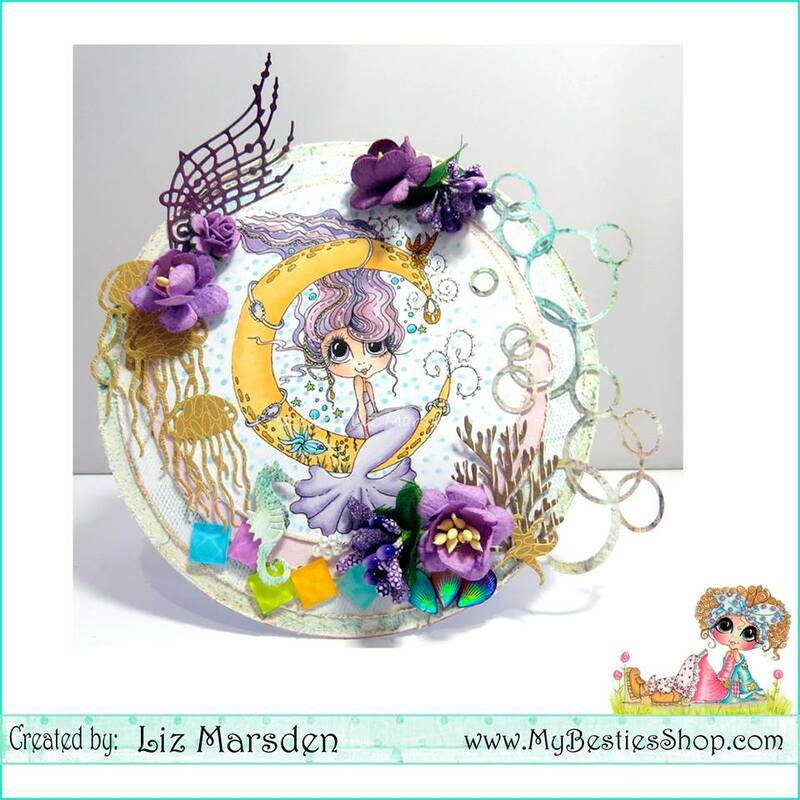 Mermaids are always so fun to create with! This image is pre-colored by one of the My Besties colorists. 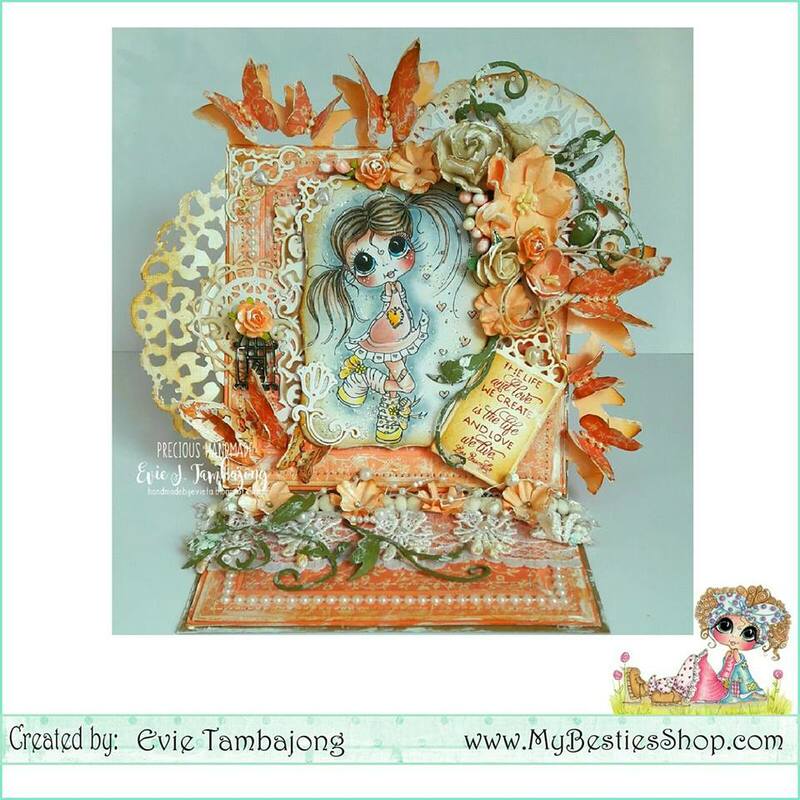 I created a 3D Decoupage image for my cardand used the gorgeous matching papersto complement the image on my cardThese papers are so much fun to use and make it so easy! 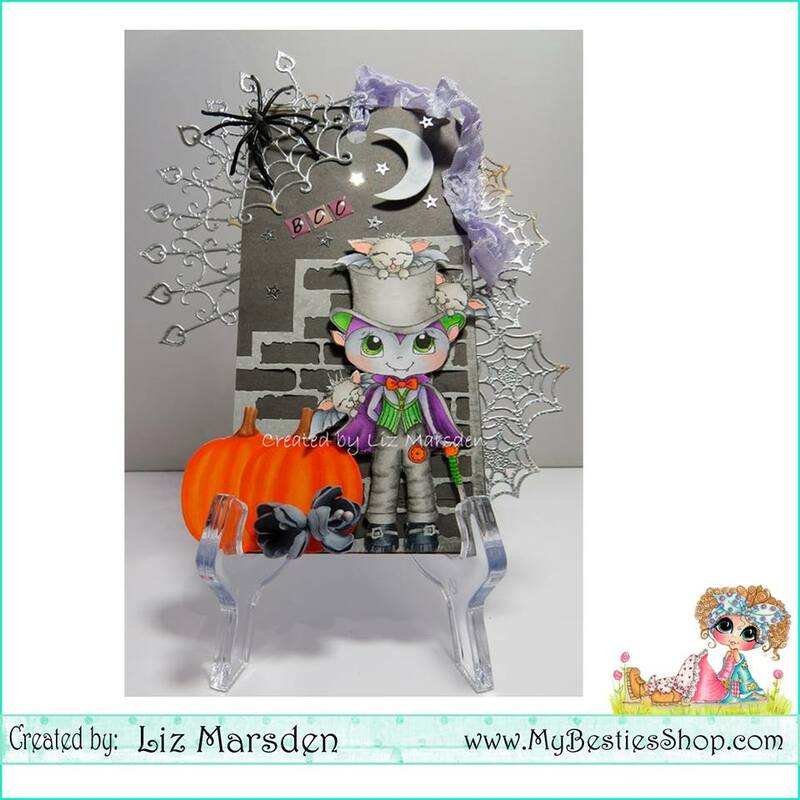 Hi guys, I've been on hols in Teneriffe so I'm slowly getting back to making my creations. 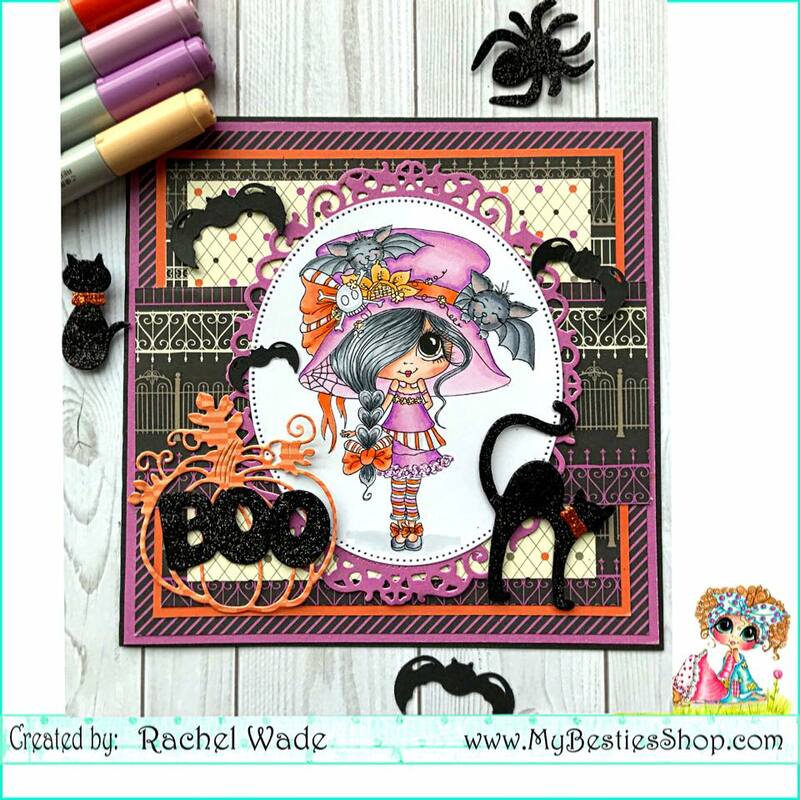 Over at My Besties Sherri has created some fabulous Halloween images and I couldn't wait to colour this adorable cute image up. 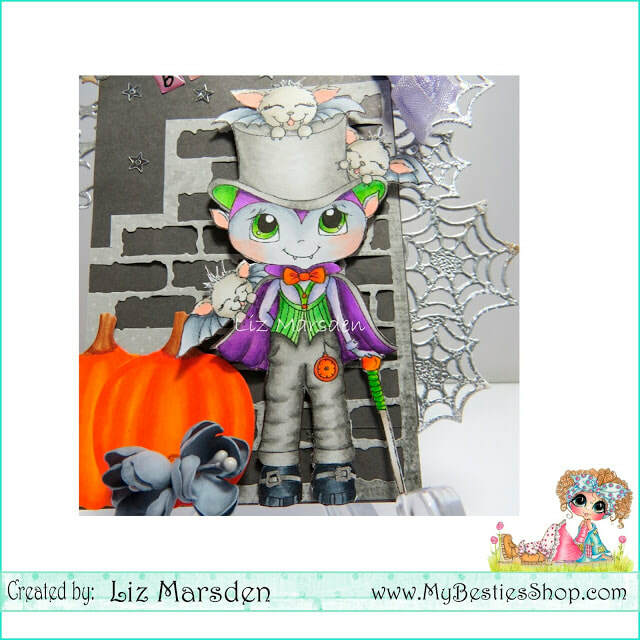 I started out with a tag shape and I then added some Halloween themed die cuts along the edges, these I cut out of card stock then added some heat embossing over the top and a little distress ink here and there to give an aged look too. I then fussy cut out the image with my scissors. Such pretty images from the July My Besties Release!! I created a shaker card with this image! I am using a My Besties Image set, called "Make a Splash"
I have used Copic markers to color these images. 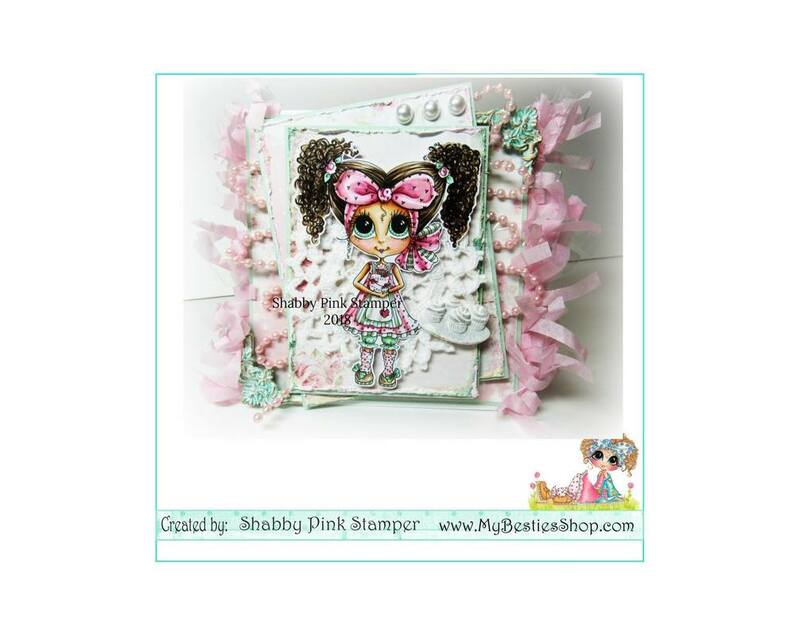 *Shabby Tip: Use lace instead of clear acrylic for your shaker card. Add some sequins instead of beads so they don't go through the lace. 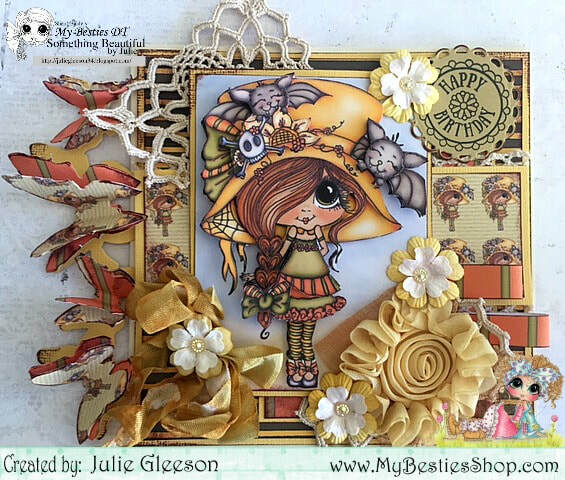 Hello Lovelies - here is my latest DT inspiration . It is winter here in New Zealand , so the thought of having some summer fun at the beach is very welcoming on these cold days !! 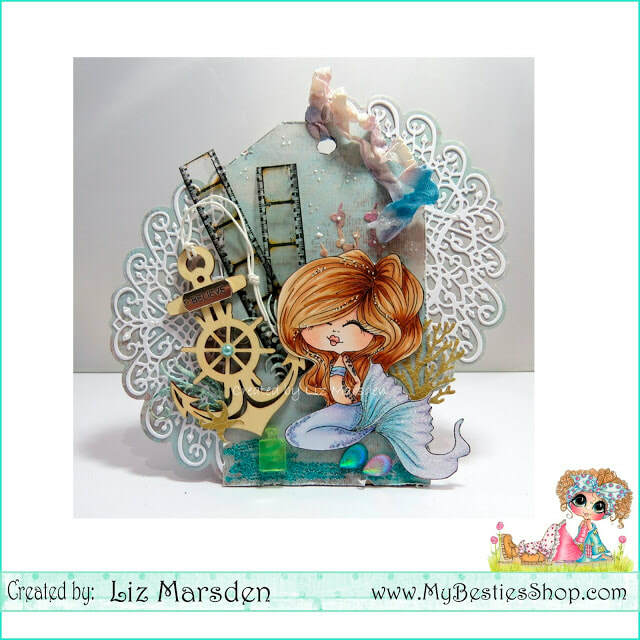 I'm using this super adorable new release image and made a shabby tag . I coloured the image with Copic markers and added her to a tag base . 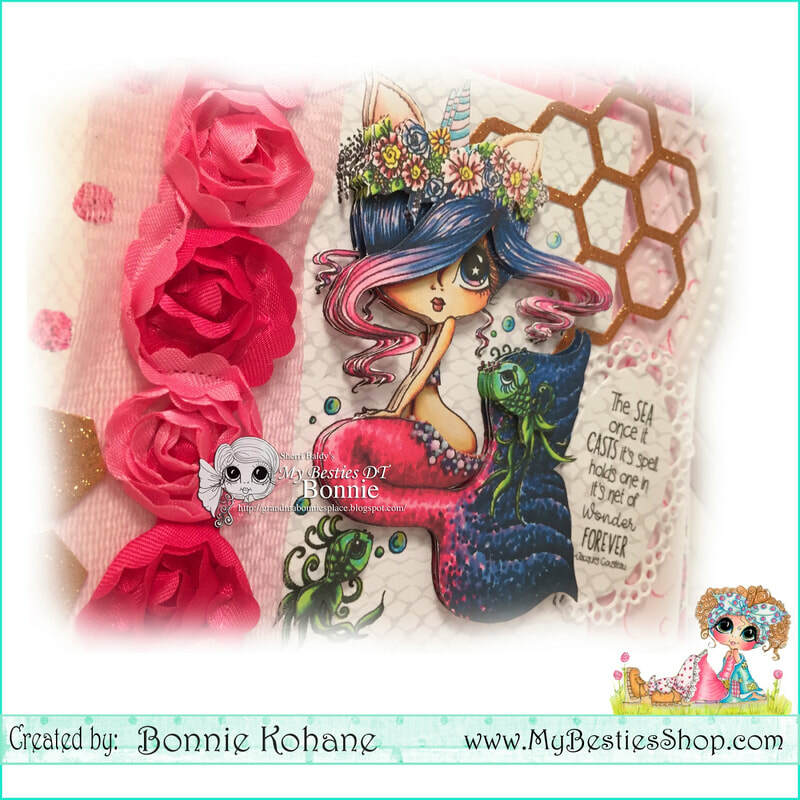 I layered the tag with several pieces of distressed paper and added several embellishments and flowers . 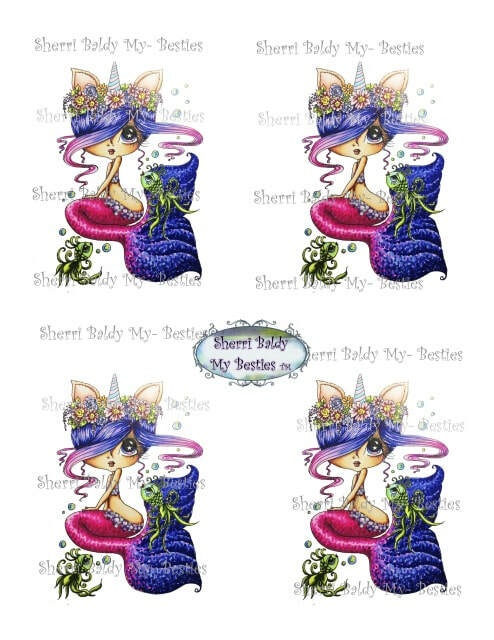 Hi guys, have you seen the gorgeous new releases Sherri has created? well this is one of them!! Isn't she cute!!! I have coloured her with my copics then added some glitter to her gorgeous tail. I used a MDF tag for the main section then used a Heartfelt die for the fab borders on the sides. I added some sea themed embellishments for the rest of my design, I am giving this to my granddaughter as she saw it and loved it.